A marriage is a relationship between individuals, usually recognized by civil authority and/or bound by the religious beliefs of the participants. A marriage between blood related siblings, parent and child, and aunt or uncle and niece and nephew. Generally the minimum age requirement for marriage is 18 years old, although some states permit marriage at a younger age if parents consent to the marriage. One or both parties must meet state residency requirements. 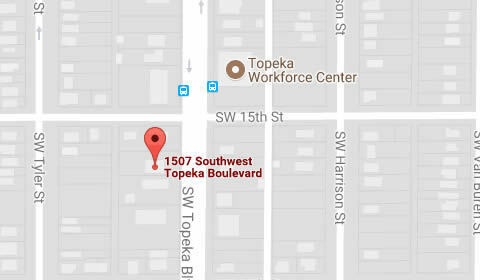 Contact a Kansas family law lawyer representing clients in Topeka, Kansas today to schedule your free initial consultation. Common law marriage is a marriage that results from the actions of a couple despite the fact that they have not obtained a marriage license or fulfilled the requirements of a state's statutory marriage laws. Typically this means that a couple has lived together for a significant period of time, while having an agreement to be married and presenting themselves to the public as husband and wife. The evidence to prove the necessary intent includes such things as sharing the same last name, filing of joint tax returns and referring to each other as husband or wife. If the facts are present to support the existence of a common law marriage, the marriage is treated in the exact same manner as any other marriage. Therefore, a valid common law marriage must end through a formal divorce process. A Premarital/Prenuptial Agreement is a written contract between two people drawn up before marriage. It generally details any and all property either party owns (along with any debts) and what each person's property rights will be after marriage and sometimes whether alimony will be paid if the couple should divorce. Also, a prenuptial agreement may state what is to be done about property distribution should one of them die. We routinely prepare prenuptial agreements for our clients who have identified a need for pre-marriage asset protection and planning. On behalf of McCULLOUGH, WAREHEIM & LaBUNKER, P.A. we hope this material will be of benefit to you in answering your questions relative to family law. Contact a divorce & child support lawyer representing clients in Topeka, Kansas (and throughout the State of Kansas) today to schedule your initial consultation.